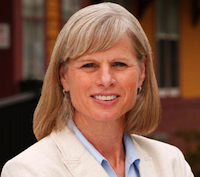 On Labor Day, Common Cause in Wisconsin heard from the campaign of Mary Burke, the Democratic nominee for Governor of Wisconsin, that Mary supports non-partisan redistricting reform in Wisconsin – specifically the "Iowa Plan." She supports a measure that would put the new redistricting process in place for the 2021 redistricting process, following the next decennial census in 2020. Mary Burke joins Robert Burke, the Libertarian nominee for Governor, who informed CC/WI of his support for the Iowa Plan earlier this Summer. Neither incumbent Republican Governor Scott Walker nor his campaign has contacted CC/WI thus far in support of non-partisan redistricting reform. In the very few public statements Walker has made about this issue, he has indicated neither support nor opposition to this much-needed, common sense reform that has the endorsement of 19 Wisconsin daily newspaper editorial boards and thousands of Wisconsin citizens. Go here for the complete, updated listing of the 59 statewide and state legislative candidates on the November 4th ballot who have contacted CC/WI in support of non-partisan redistricting reform. Mary Burke Informs CC/WI of Her Support for Non-Partisan Redistricting ReformTweet this!